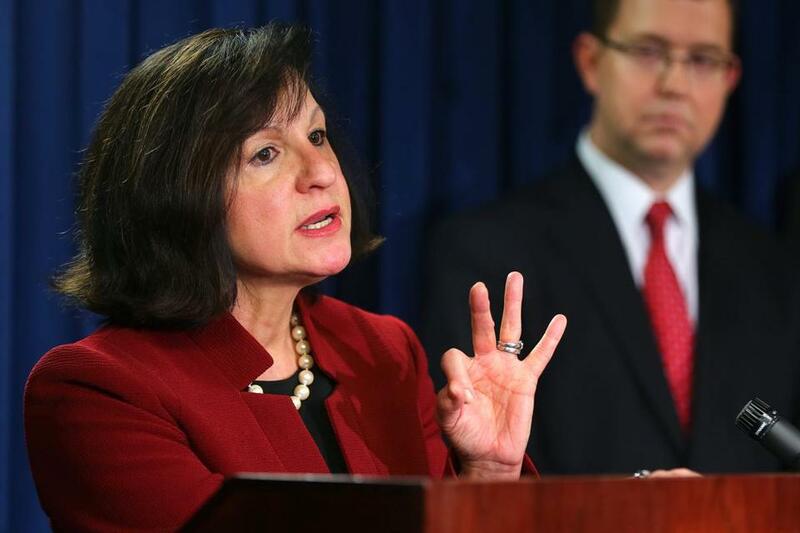 “As the [Marathon bombing] case moves forward we will continue to do all we can to protect and vindicate those injured and those who have passed away,” said US Attorney Carmen Ortiz. 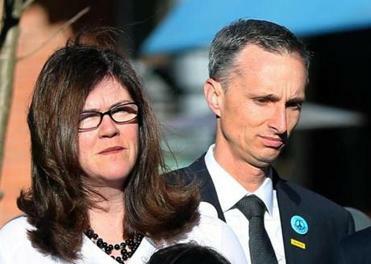 The Richard family’s public plea for prosecutors to abandon their quest for the death penalty for Boston Marathon bomber Dzhokhar Tsarnaev comes days before jurors are set to return to federal court to begin the grueling process of determining Tsarnaev’s punishment. Tsarnaev, 21, was convicted April 8 of all 30 charges he faced, 17 of which carry the possibility of the death penalty, for his role in setting off the bombs at the Boston Marathon two years ago. The explosions killed three people, including 8-year-old Martin Richard, and injured more than 260 others, including 17 who lost limbs. Tsarnaev and his older brother also killed MIT police officer Sean Collier. In a statement to the Globe Thursday, Martin’s parents, William and Denise, asked US prosecutors to take the death penalty “off the table” as a possible punishment, so that Tsarnaev could instead be sentenced to life in prison without the possibility of parole. In the statement, the Richard family said they did not want to suffer through the years of appeals that would inevitably follow a death sentence. US Attorney Carmen M. Ortiz, whose office is prosecuting the case, said she could not legally comment on the specifics of the Richard family statement, because the case is pending. In their own words, Bill and Denise Richard explain their reasoning behind opposing the death penalty in the Marathon bombing case. The other two fatal bombing victims were Lingzi Lu, 23, a Chinese student studying for a graduate degree at Boston University, and Krystle Marie Campbell, 29, a native of Medford who had studied at the University of Massachusetts Boston. The same jury that convicted Tsarnaev is scheduled to return to federal court Tuesday for the sentencing phase of his trial, which could last four weeks. They have been ordered to not read media coverage of the case. During the first phase of the Tsarnaev trial, jurors heard from victims who described the thunder of the bombs and the bloody aftermath. Several victims walked to the witness stand with prosthetic legs, and one rolled up a ramp to the stand in a wheelchair. The testimony of William Richard brought many in the courtroom to tears, including jurors. He described his agonizing decision to leave his injured wife to tend to Martin, who he knew was dying, and help their daughter, Jane, who lost a leg. Another son, Henry, was in shock from the chaos. “When I saw Martin, I knew he wasn’t going to make it,” Richard testified. The killing of Martin also became a central theme in the trial as prosecutors sought to show that Tsarnaev was so heartless he placed his bomb directly behind the Richard children and waited for four minutes before walking away and detonating it. Attorney General Eric Holder first notified the court in January 2014 that he would seek the death penalty, based on Tsarnaev’s “heinous, cruel, and depraved manner of committing the offense,” according to a court filing. The filing also noted the killing of a police officer, the selection of the Boston Marathon as a target, and Tsarnaev’s encouragement of others to commit acts of violence and terrorism. Ortiz had submitted a recommendation to Holder on whether to seek the death penalty, though that recommendation was not made public. But the US attorney has sought input from victims in the case. Recently, several victims have stated their views on the punishment for Tsarnaev. Collier’s sister, Jennifer L. Lemmerman, wrote on Facebook this week that she does not believe in the death penalty. “Whenever someone speaks out against the death penalty, they are challenged to imagine how they would feel if someone they love were killed. I’ve been given that horrible perspective and I can say that my position has only strengthened,’’ wrote Lemmerman, an alderwoman in Melrose. A spokesman for the Collier family later would not comment, and the message was no longer visible on Lemmerman’s Facebook page. Your reaction: What do you think of Tsarnaev’s apology? After the sentencing, what happens next? Milton J. Valencia can be reached at mvalencia@globe.com. Follow him on Twitter @miltonvalencia.